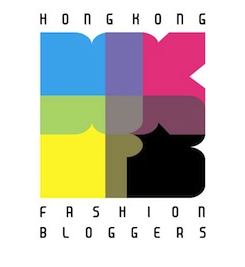 I was once told by a commenter online that Asian girls shouldn’t wear red lips – and my reply, being the spiteful so-and-so I am, was that people telling me I shouldn’t wear it only made me wear it even more! 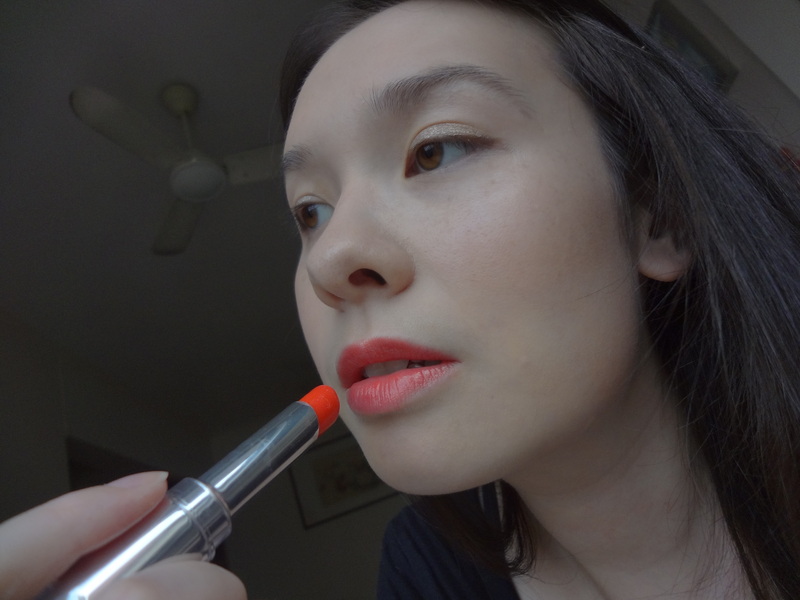 So let me practice what I preach by showing you Shu Uemura’s Baby Flame Rouge Unlimited Lipstick, from their new Sweet Red Collection. 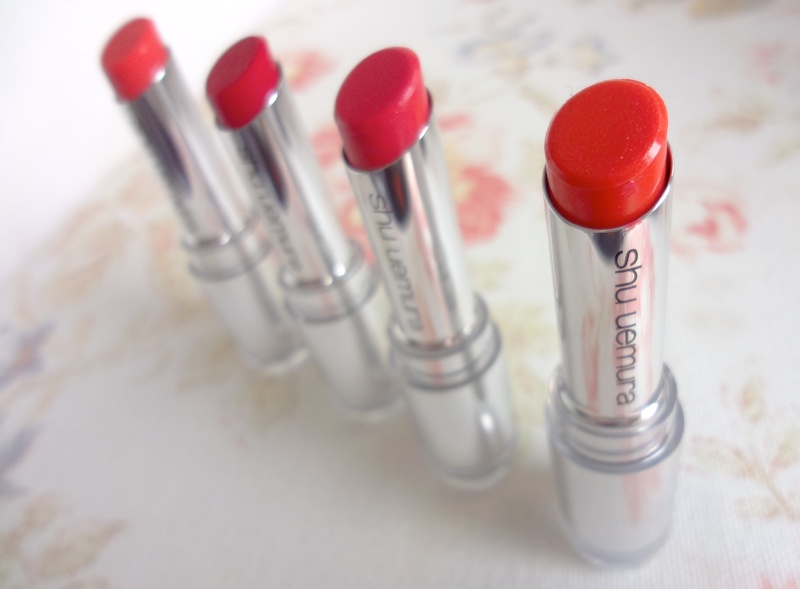 The Sweet Red Collection comprises six varying shades of… yes, how did you guess… red lippie! Red lipstick should be a weapon in every woman’s make-up arsenal, but the nice thing about Shu’s shades here are that they’re good entry level reds – they all have a sweet translucent shine to them rather than a strong matte look, and amongst the six, there should be a shade for everyone. 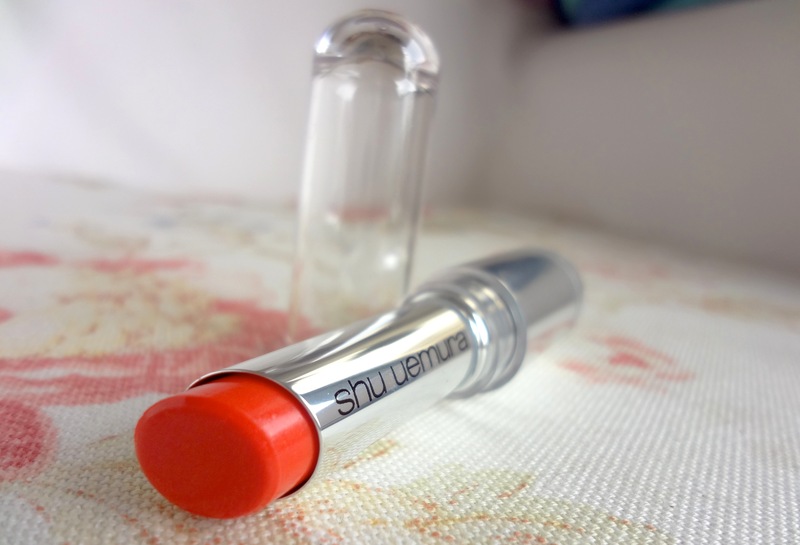 Most exciting if you missed out on last year’s Shu Uemura x Karl Lagerfeld Mon Shu Collection, is that the uber popular Mon Shu Red has returned as part of the Sweet Red Collection – a vibrant, cheerful, everywoman red that I already reviewed last year here. 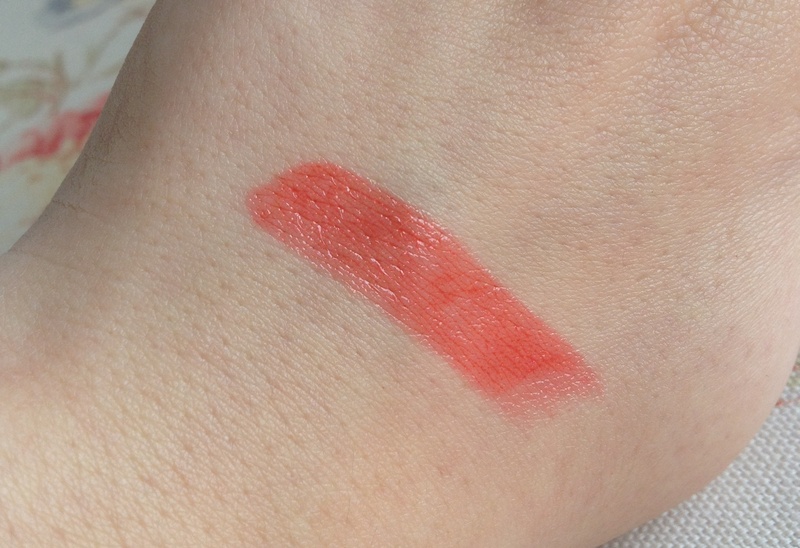 So instead, I decided to road test Baby Flame (swatched above and contrasted with Mon Shu Red)– a more orange-leaning bright geranium that’s great for adding a splash of fun colour to your everyday look. 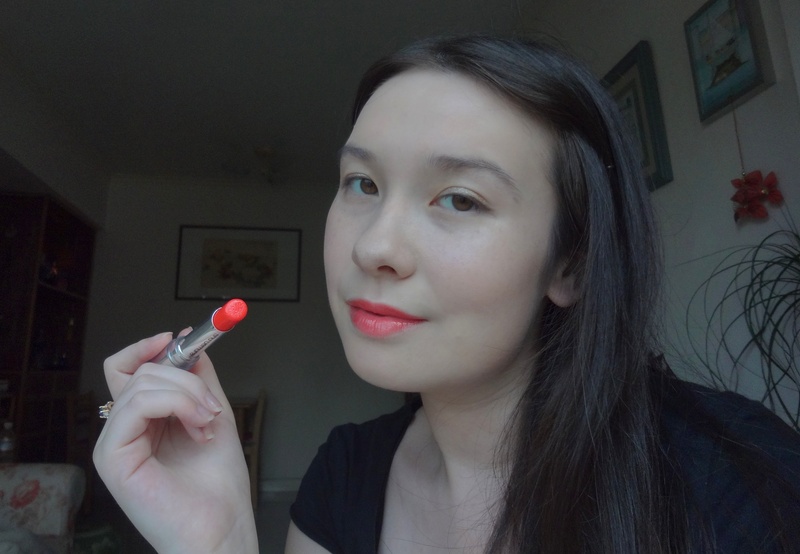 I’m already a massive fan of the Rouge Unlimited lipstick formula; it’s soft, moisturising and applies like butter but still with a good amount of pigment, and it wears comfortably on the lips without that crinkly drying feeling. This is due to something Shu Uemura calls its “opaque core hybrid pigment” combined with a “crystal core hybrid pigment”, producing a colour that has a translucent lucid quality but still with a vivid vibrant burst of colour – you can see from the photos how Baby Flame is much less intense in real life than it is in the tube, yet still delivers the bright essence of the colour. In short, all good stuff! Baby Flame is somewhere between a tomato-red, geranium orange and a bright coral – and likely to lean differently on you, depending on your skin-tone (I think it leans quite pink on me, but many reds tend to!). 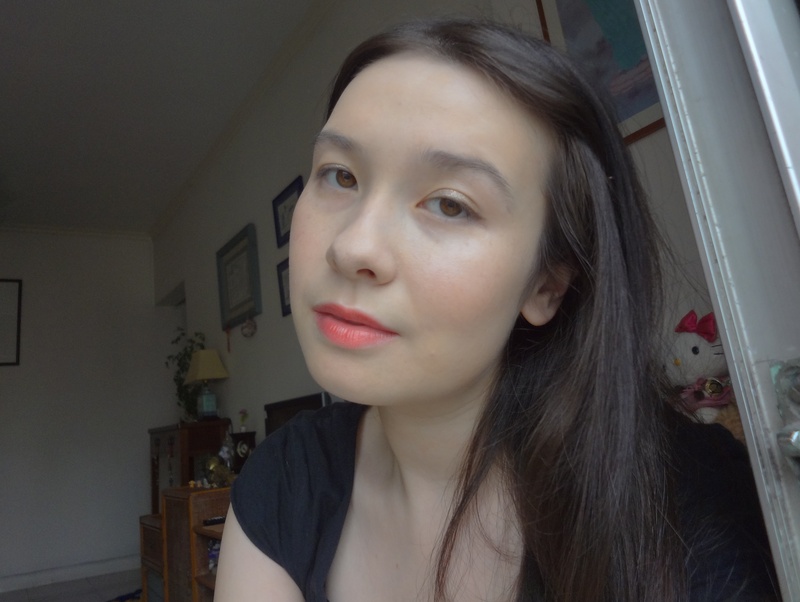 It also feels a little grittier on my lips than the usual Rouge Unlimited lipsticks; this is because the colour actually has a fair amount of pink glitter in it (which none of the three cameras I used ever managed to pick up, sorry! ), adding further to its shimmer and pink-leaning qualities. 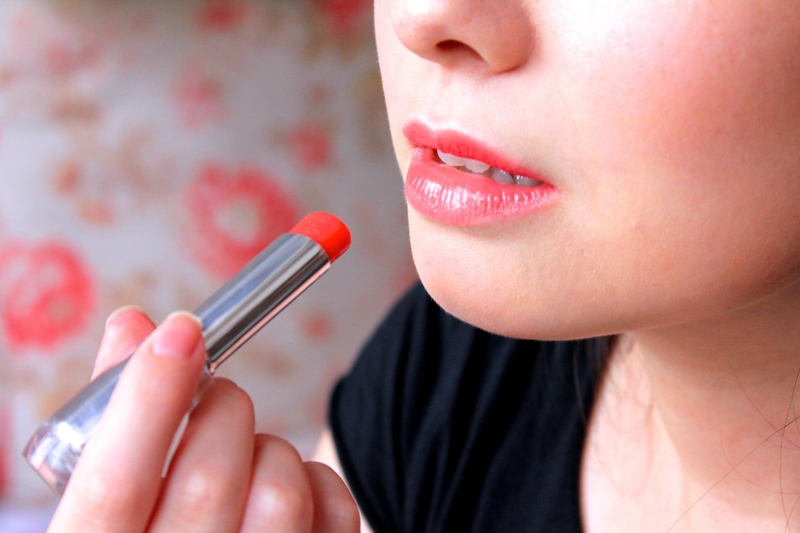 Baby Flame is also on the lighter spectrum of Rouge Unlimited colours, meaning it only really lasts around two to three hours on my lips before fading. As far as red lippies go, Baby Flame is not really a true red – but it’s still a lovely colour nonetheless. It’s soft, natural and effortless enough to be an easy everyday choice, bright enough to add a pretty pop to your look and interesting enough to ensure it’s not just another safe ‘my lips but better’ colour. So despite what the naysayers may think, there IS a red out there for everyone… and Baby Flame might just be the one for you! P.S. One photo by the awesome Iris Van Kerckhove of Eating Clean In The Dirty City – I’m sure you can guess which! 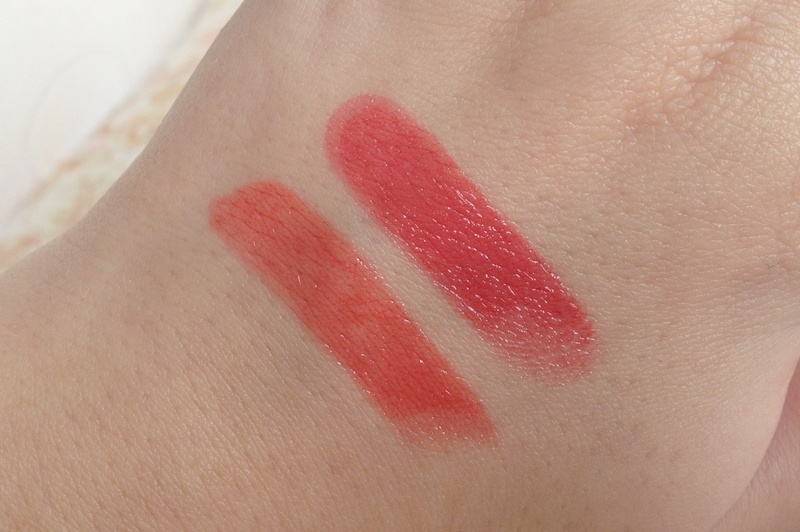 This entry was posted in Beauty and tagged Baby Flame, Baby Flame vs Mon Shu Red, best red lipsticks, coral, cosmetics, FOTD, lipstick, make-up, Mon Shu Red comparison, red lipstick, review, Rouge Unlimited, Rouge Unlimited Lipstick, Shu, Shu Uemura, swatch, Sweet Red Collection. Bookmark the permalink. these sound really appealing.. i love how baby flame looks on you! yea we definitely have to prove them wrong – asian girls can totally rock red lips! All these shades are so pretty! I think they may be flattering on anybody, no matter you are asian, black, caucasian, etc. I wish I could get my hands on these to swatch them <3. They looked lovely as red top silvery sticks! They’re never easy to wear; you must have some makeup on your face & nice colour dress to show them up on you. They actually didn’t look too bad on your lips in the pictures, far better than any ghoulish blood red as in the Japanese ghosts in the movies! 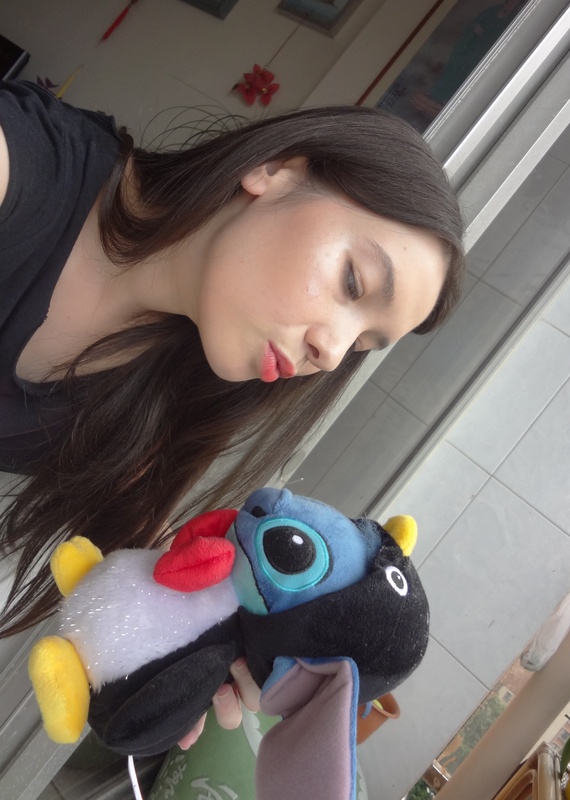 I think everyone looks great with red lips….! 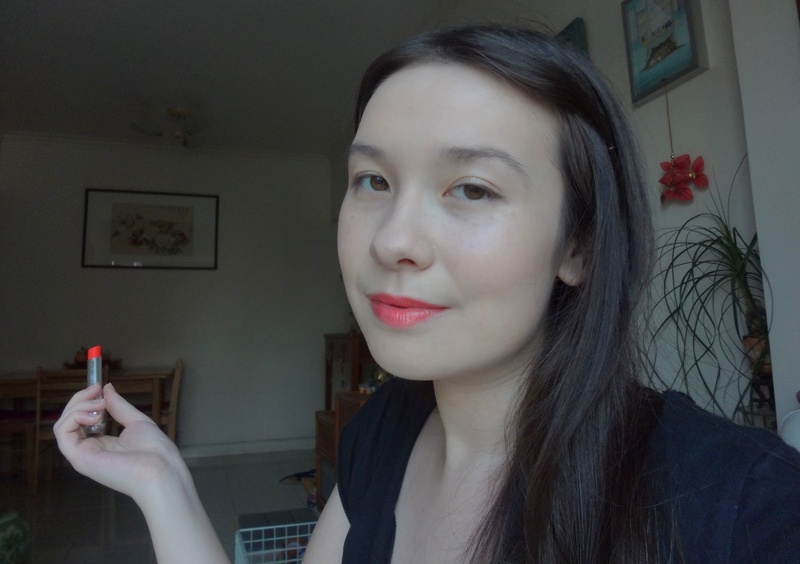 I don’t get why Asian girls shouldn’t wear red lipstick… *puzzled* I love rocking an orangey red lip whenever I feel like dressing up. I think the original commenter claimed it was because all Asians have yellow undertones… which is not even true in the first place! Regardless, the whole point is that there are so many different shades of red with different undertones (blue, orange, pink etc) that there should be one out there for everyone! Would love to see your red lip look!